A subsidiary of First National of Nebraska, FNBO has been a part of the financial landscape for going on two centuries and takes pride in its ability to raise the bar in customer service and innovative financial offerings. Founded and opened in 1857 by Herman and Augustus Kountze, FNBO initially served only those living in the immediate area and was the first national bank chartered from Omaha west. Interestingly, the bank opened with tradings, of all things, in gold dust and buffalo hides. It was one of the first banks in the United States that issued credit cards – even before the larger and more well known banks did; further, it was the first U.S. company to use fuel cell technology as a primary power source. It’s also the first name in financing for the ethanol industry as the largest commercial lender for that industry. These days, this bank remains the largest privately owned banking company in the United States, and has locations in seven states with close to 7 million customers across the country. First National of Nebraska and its affiliates have $17 billion in managed assets and over 5,000 employee associates. The original founders who launched First National Bank did so in the spirit of innovation and commitment to customer service. You can be sure this sixth generation family-owned business has maintained its sense of diversity and ethics and has easily become the largest privately-held bank holding company in the United States. It is also one of the largest family-owned holding companies in the country. First National Bank maintains its competitive and innovative strides as it prepares for the future. Its offerings are many, including the credit cards it provides its customers. It easily makes the transition from consumer to business clients and has a wide range of product offerings that cover the proverbial bases for all its customers’ financial needs. For its employees, First National Bank of Omaha ranks as one of the nation’s best employers for working mothers. Its on-site daycare and Child Development Center is one of the best in the nation and is often used by other companies as an example of how they develop their respective centers. This credit card offer has an introductory 0% APR on purchases and balance transfers for the first 12 billing cycles after your account is opened. After that, a variable APR between 13.99% and 19.99% (based on the Prime Rate depending on how you meet our credit criteria after the intro rate expires) goes into force. 1 point for every $1 in qualifying purchases and there’s no limit to the number of points you can earn. Wondering what the options are in terms of your rewards? There are several, including gift cards, merchandise or travel on any major airline. Further, you’ll enjoy the Visa Zero Liability Protection, which means your credit card information and other financial data is protected 24 hours a day, 7 days a week – and you won’t be held liable for unauthorized purchases made with your card or account information. 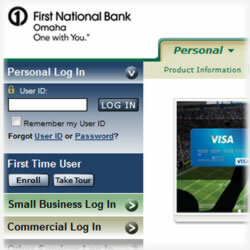 FNBO also offers FirstGuard, which helps protect against identity theft. Forbes reports that identity theft is a $37 billion dollar problem, and the number continues to rise each year. With one in twenty-five of us who will have our identity stolen at some point in our adult lives, FirstGuard is a welcome addition to this credit card offer. Among its offerings, FirstGuard provides fraud monitoring, zero liability for fraudulent charges and identity theft information. Another added benefit is the Purchase Protection program that protects nearly everything you buy with your card against theft, accidental damage and fire within the first 90 days after purchase. An extended warranty doubles most manufacturers’ original U.S. warranties on items you purchase with your card and travel accident insurance gives you and your family peace of mind at no additional cost when you use your FNBO Visa. Auto rental insurance provides coverage in tandem with any other insurance you have against damage to or loss of a rental vehicle. It also eliminates the need to purchase costly insurance from the car rental agencies. As you can see, FNBO has the bases covered with this credit card offer. Be sure to review all the terms and conditions with this and any other offer you’re considering.